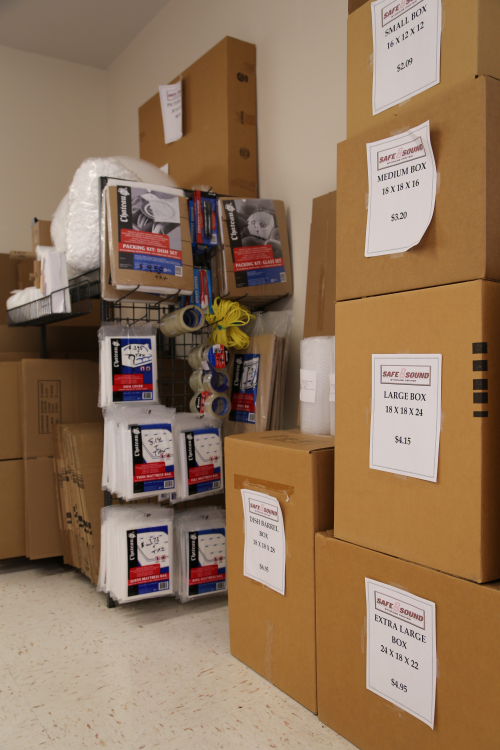 Our Florida storage facilities are open seven days a week and we offer a large selection of boxes and moving supplies at great prices. Listed below are just some of the items we carry in stock. Why make multiple trips around town just to move into your new unit? When you rent with Safe and Sound Storage, you’ll have everything you need in one convenient place! Once you’ve got all the supplies you need, head over to our packing tips to complete the process like a pro!